When we first visited Turin in 2014 we instantly adored the culture and cuisine; and featured Five Vegan Eats in Turin along with a post on Vegan-Friendly Gelaterias in Turin. Upon our return in April 2017 we renewed our love for this city. While some of the restaurants and shops we previously frequented have closed, overall there are more vegan options in the city now. 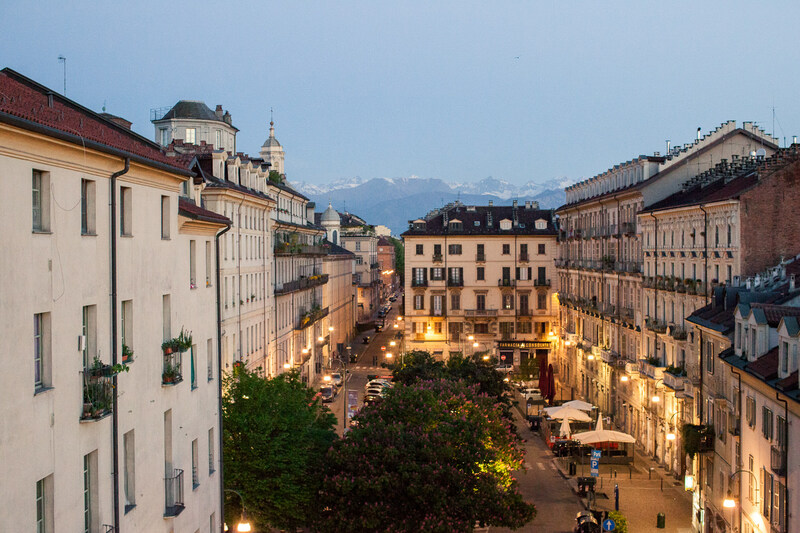 Turin remains a favorite of ours; it?s authentic, progressive, unpretentious and the people have a genuine passion for their food. Highlights from our trip to Turin include artisanal vegan pastries at Ratatouille and a deftly prepared dinner in unfussy surroundings at Soul Kitchen. Beyond the five vegan-friendly restaurants we mention, there is a city brimming with vegan options. Italian vegan burger chain started in Milan in 2015 and quickly expanded to Rome, Monza and Turin. Straightforward menu with burgers, potato wedges, desserts and drinks. Charcoal, turmeric and 7-grain buns add a bit of flair – during our visit they also had a limited edition cherry bun. Burger patty options include chickpea, seitan and lentil. A variety of discounts are posted; including 20% off every Monday for Meatless Monday. Convenient stop if you?re craving a vegan burger. Bonus, they?re open on Sundays and most holidays.